My name is Dave Yates and I love traveling and writing. I hit the road whenever I can, heading for such places as Mexico, Cuba and the mountains of Nepal. I also travel to remote parts of Canada. I travel on foot, bicycle and kayak. Many of my stories and photos have appeared in the Travel Section of The Montreal Gazette, where I worked as a journalist for 25 years. 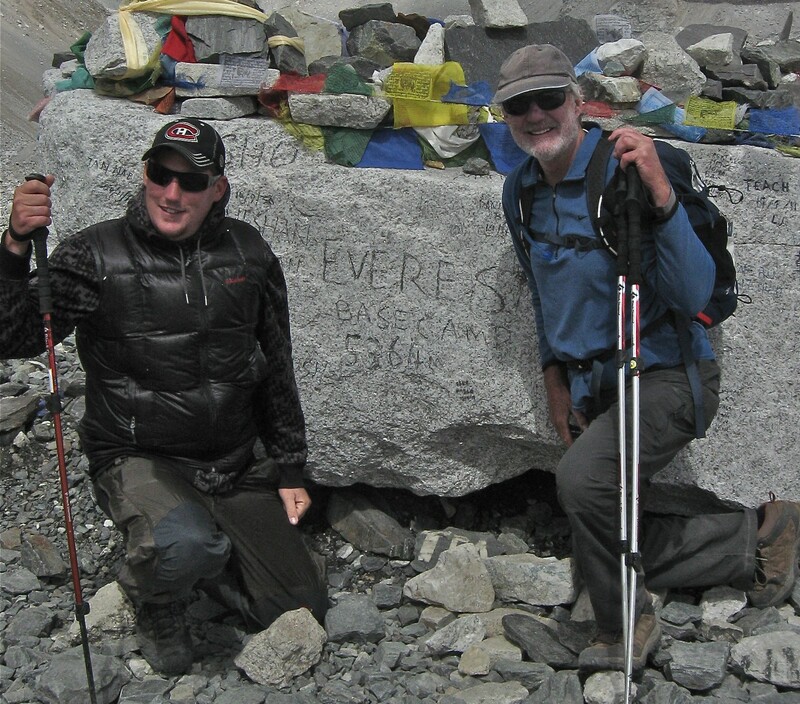 The picture shows me and my son at the Everest Base Camp in October, 2011. You look like your son dave !